What does "missing fertility" mean in Anno 1800? 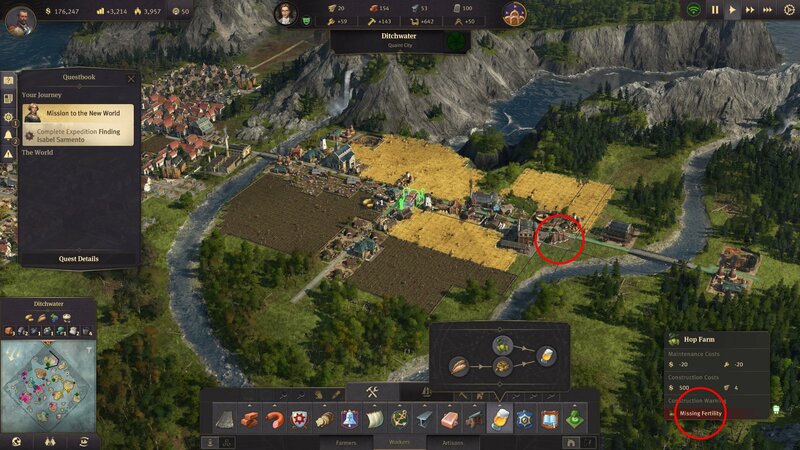 Learn what "missing fertility" means and how to build red pepper and hops farms in Anno 1800. 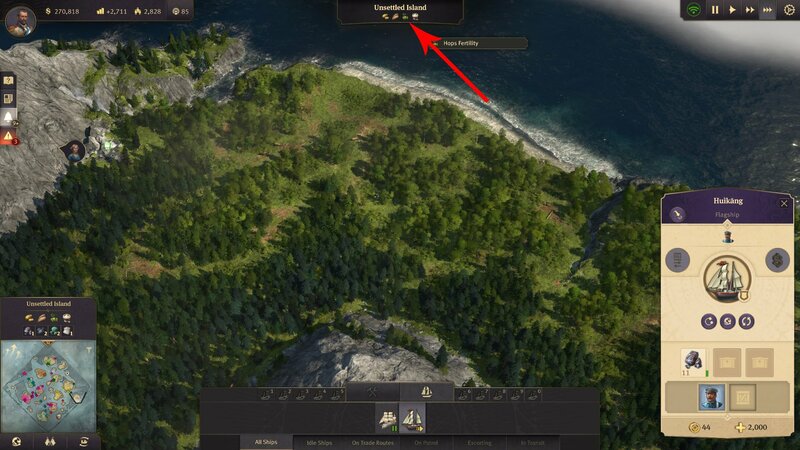 Missing fertility is an alert many players will encounter in Anno 1800. For most players, this will occur when trying to build hops farms for use in beer or red pepper farms when trying to make canned food. Thankfully, knowing how to find fertile land isn’t too difficult, you just need to know where to look. What does “missing fertility” mean? In order for certain food to grow, the ground on the island must be fertile. Some islands offer fertility to grow potatoes while another might not support the growth of potatoes. When you choose to build a farm (like a hops farm) and the ground does not support that type of food, a warning message will display showing “missing fertility”. If you want to grow something like hops and the warning message is shown, you have only one choice: sail to another island and start another village. Each island in the game can only support a small variety of food. 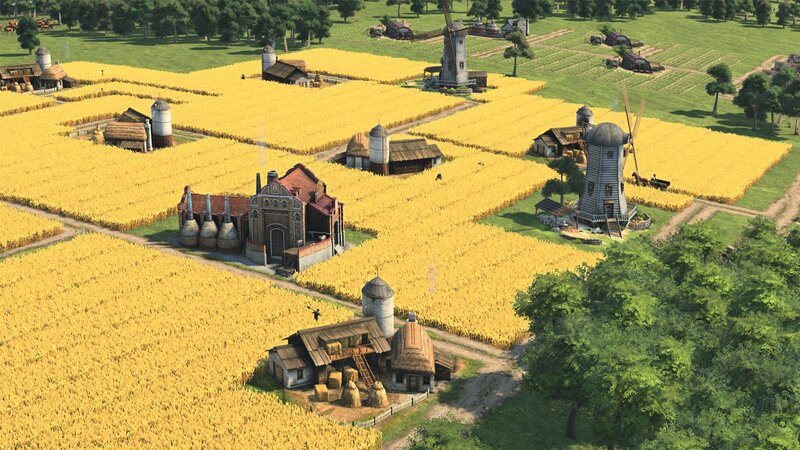 In the campaign, the main island typically allows for potatoes, wheat, and grapes. Islands will only be compatible with a few different types of product. Find and island that has hops fertility or red pepper fertility, as the starting island in the campaign does not support either. Sail your ship around the map until you discover an unclaimed island. Mouse-over the island and look at the top of the screen to see the types of food that will be compatible with the land. Any food that is shown will have the fertility needs met. Populate the island and begin working your way up the tiers until you can begin the production of the food you require. Once production begins, the only trouble will be transporting the goods back to your main city where they are required. The best way to transport your goods between islands is to add them to your trade route. Plan the route so that all available slots of your ship are accounted for to cut down on excess travel time. Ensuring you meet the needs of your citizens is incredibly important to progressing through the different tiers. While farmers are easy enough to please, workers, artisans, engineers, and investors are quite picky. These last few require specific food and products, all of which require fertile soil. In the event you receive the “missing fertility” warning, start looking to settle other islands that support the growth of said product. If all else fails, try and reach a trade agreement with other characters to see if they can provide the products you need. Be sure to check out the Shacknews Anno 1800 page for more helpful information. Sam Chandler posted a new article, What does "missing fertility" mean in Anno 1800?